We’d love to send our children to TDSP, but we really can’t afford a tuition of $14,500 per child. Should we bother enrolling? YES! Torah Day School of Phoenix is committed to educating every Jewish child, regardless of background or ability to pay tuition. Thanks to the JTO and other organizations there are many scholarships available for children to attend Torah Day School of Phoenix. Please call Gaby Friedman 602-809-3011 for more details. Can we enroll if we are not religious? Yes! Although we are an Orthodox school, we are welcoming of Jewish children from all backgrounds. We have had students join who previously attended charter or public school, and whose families were not observant; we are glad that we able to teach these children about the treasures of our Jewish heritage and tradition. My child doesn’t read Hebrew. Is that going to be an issue? We have resource teachers on staff who will work with your child to teach them Hebrew. However, we expect that if you come into Torah Day School of Phoenix not knowing Hebrew that your child will also practice reading Hebrew after school so that they can be integrated into the classroom as soon as possible. Do you teach general studies or just Jewish studies? Torah Day School of Phoenix has a dual curriculum, with half a day Jewish studies and half a day General studies. We have highly qualified people teaching in both disciplines, and your child will receive an excellent general studies and Jewish education if they attend Torah Day School of Phoenix. What High Schools and colleges do your graduates attend? Many of our graduates have continued to Yeshiva High School of Arizona and Shearim Torah High School for Girls. A Torah Day School of Phoenix education prepares children well for whatever high school or college they wish to attend. 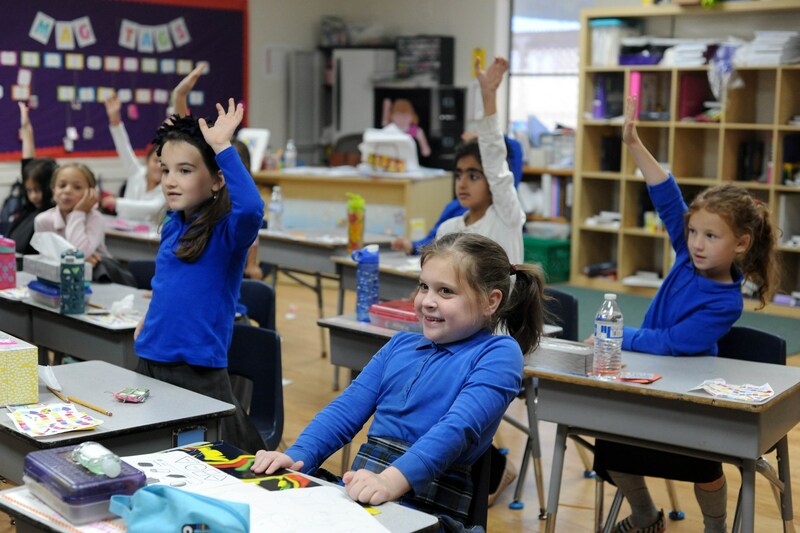 Do you administer standardized tests at Torah Day School of Phoenix? Yes! We use the Stanford Tests (once a year) and the MAP tests (twice a year) to measure progress and achievement.